When we talk about our periods, we’re talking about SO MUCH MORE than just that one time of the month. We’re talking about body image, self-care, self-acceptance, beauty standards and feminism! Menstruation is a loaded topic, and it extends way beyond just the physical. 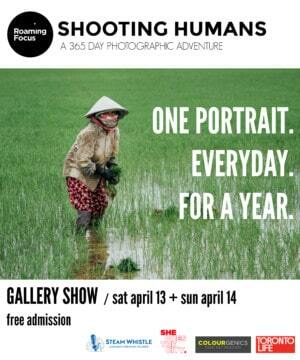 In Canada, we’re so ready to bring this topic out of bathroom stalls and into the public sphere. 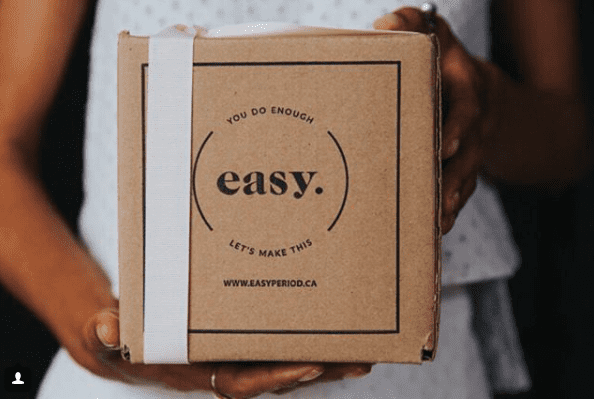 Easy Period—Easy Period is a Toronto-based subscription service for organic tampons and pads. It’s also a super vibrant community. Easy hosts wellness workshops (on topics like self-care and creative confidence), markets and panel talks that bring together female entrepreneurs and more. They also released a really beautiful, award-winning ad campaign called #NoShame. They’re personal. They’re political. They’re all about carving out a menstrual niche as a vital force in the intersectional feminism movement. Lunapads—This Vancouver-based company makes their own pads, liners and underwear/thongs with built-in liners and sells menstrual cups via their online store. They also donate pads to South Africa and offer business mentoring for women on the west coast. It’s the brainchild of a former fashion designer and chartered accountant who wanted to make a more period-positive future, locally AND globally. DivaCup—This is the OG company that started the mainstreaming of menstrual cups back in 2003. The DivaCup (named one of Canada’s fastest growing companies) was created by a mom and daughter from Kitchener, Ontario. I love that the roots of this company date back to 1960s when the company founder had to deal with the those elastic belts and pins used to hold diaper-like pads in place. Can you IMAGINE? DivaCup set the bar high for this niche and did it so well. Red Tent Sisters—This sister-owned business on the Danforth offers healing services for women around fertility, sexual empowerment, motherhood and overall reproductive health. They do shamanic counselling and business coaching and have a Sacred Cycles program, which is for anyone who wants to heal their menstrual cycles at the physical, mental and spiritual level. The Village—The intersection of the cannabis industry and periods is about to get POPPING. Though fairly under the radar (pending the legalization of pot in Canada), the community love around cannabis companies who support women’s health is potent. The Village is a dispensary in Vancouver operated by Andrea Dobbs, who brings her expertise on women’s issues like PMS and menopause to her work and activism. She stocks a variety of products (e.g., bath bombs, tinctures) just for menstruating folks. Crankytown—An online film festival for shorts about periods! Submissions can be all genres, any subject matter–from first period horror or triumph stories to art films to music videos. Gather ’round their digital campfire and feel the period love. Proceeds go to Huru International, a charity that provides education and reusable sanitary pads to girls across Africa. Mother Nature Partnership—This local NGO/community works to make reusable menstrual supplies accessible in Cameroon, West Africa, and they’ve reached over 8,000 women there to date! Here in Toronto, they come together with companies like Easy Period and Lunapads to make the stigma-smashing force even stronger with panel discussions and other events. WHO did I miss? What companies do you look to for pads/tampons, topicals, supplements, content, LOLS to support you during your cycle? Give them a shout-out, because peeps wanna know!